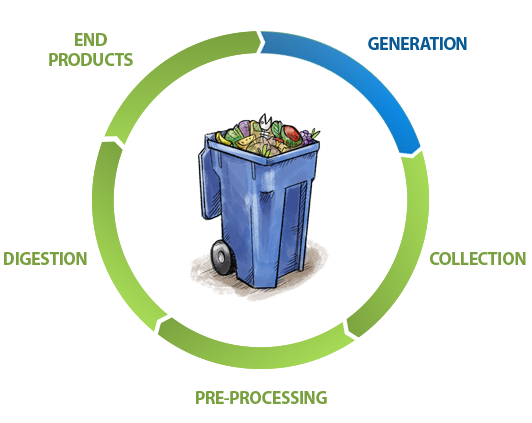 Source separated organic waste (SSOW) is placed in a designated collection container at your place of business. 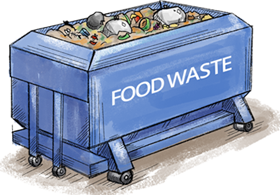 Food waste can be contained in plastic bags and/or packaging. 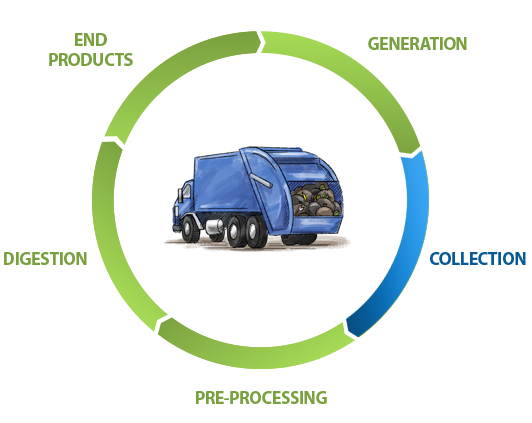 Organic waste is collected by your hauler, transported to North Salt Lake and delivered to the Wasatch Resource Recovery facility. 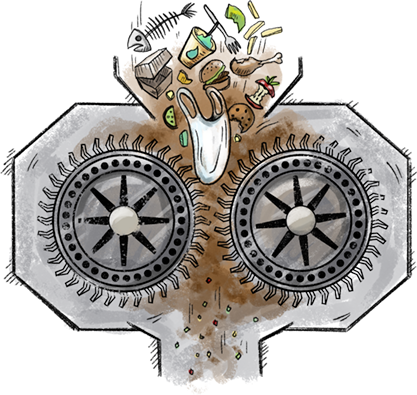 Organic waste is received at the facility and processed by a series of machines that will remove any contaminants or non-food material. 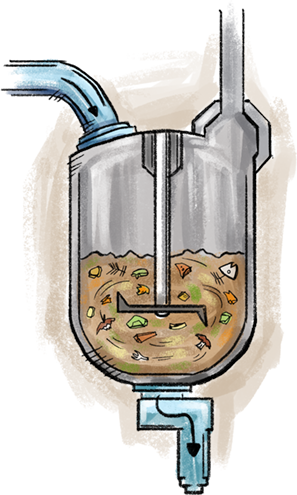 Secondary water is added to the ground-up organic waste and mixed vigorously until it reaches a liquid state. 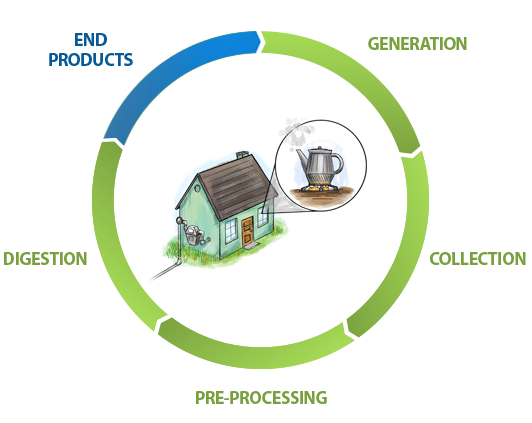 By using secondary water, no potable water is used in this process. 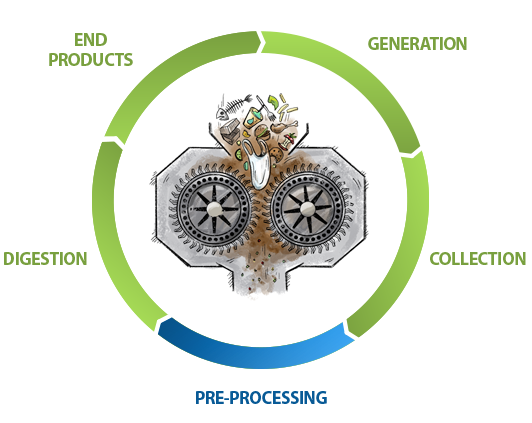 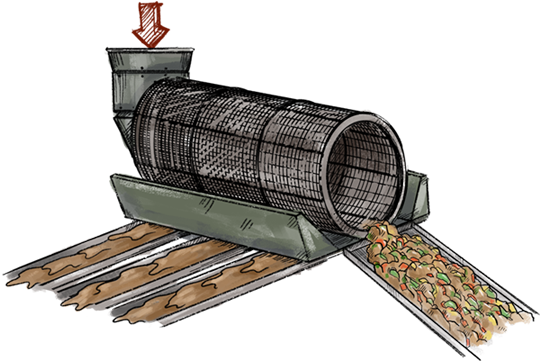 The material passes through a rotating screen where any packaging or contaminants are washed free of remaining organic material and removed, while all organic material is fed into the digester. 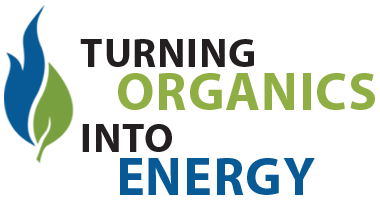 Organic waste in the digester is heated to aid the growth of microbes. 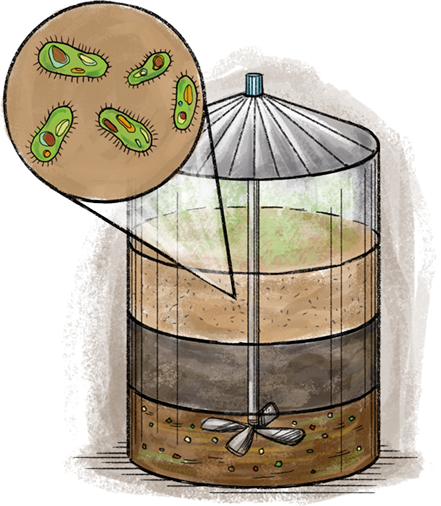 These microbes break down the organic matter, without the use of oxygen, resulting in biogas production. 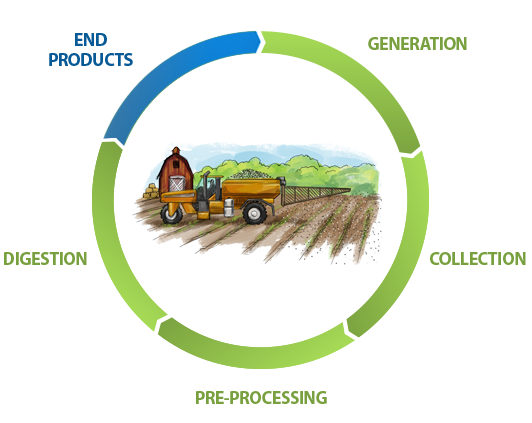 Biogas is captured and purified before it is converted into biomethane (renewable natural gas) and fed into the nearby gas pipeline and sold into the market as renewable “green” power. 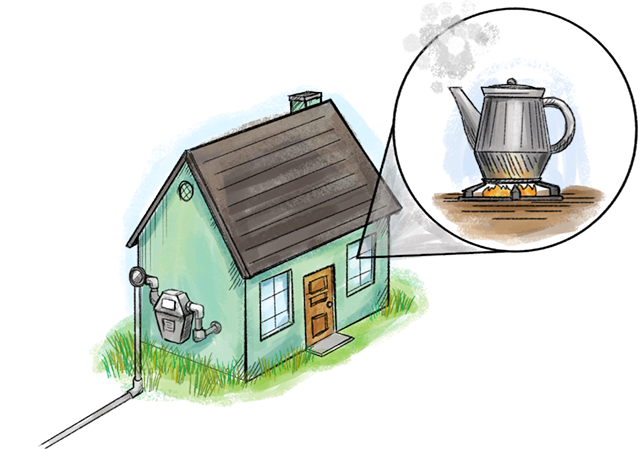 WRR will supply enough natural gas for approximately 40,000 people or 15,000 homes, a community the size of Bountiful, Utah. 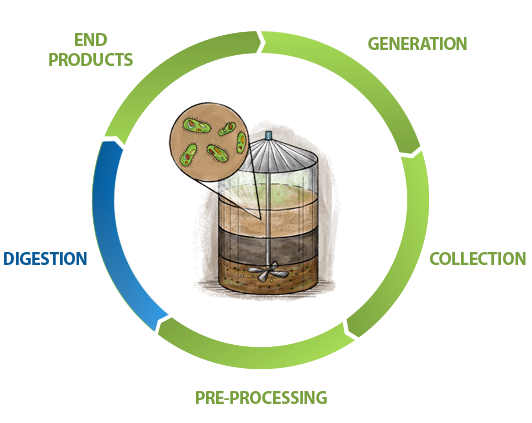 The remaining product is a nutrient-rich, carbon-based fertilizer used to grow crops. 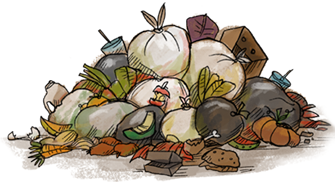 Organic waste makes up nearly 30% of our landfills, which, if diverted, can result in considerable cost savings for businesses, institutions and service providers. 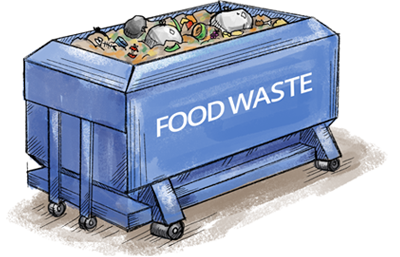 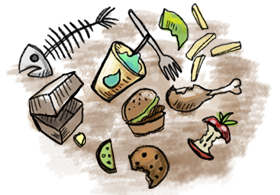 Organic waste can include fruit, vegetables, meat, bones, dairy, fats, liquids, raw food, prepared food, food processing waste, brewery waste, canned and bottled waste, etc. 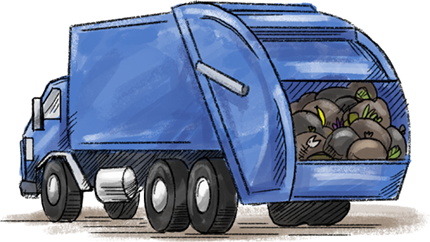 *Based on 7-8% contamination rate by weight.